Dear House of Wells Partners…. 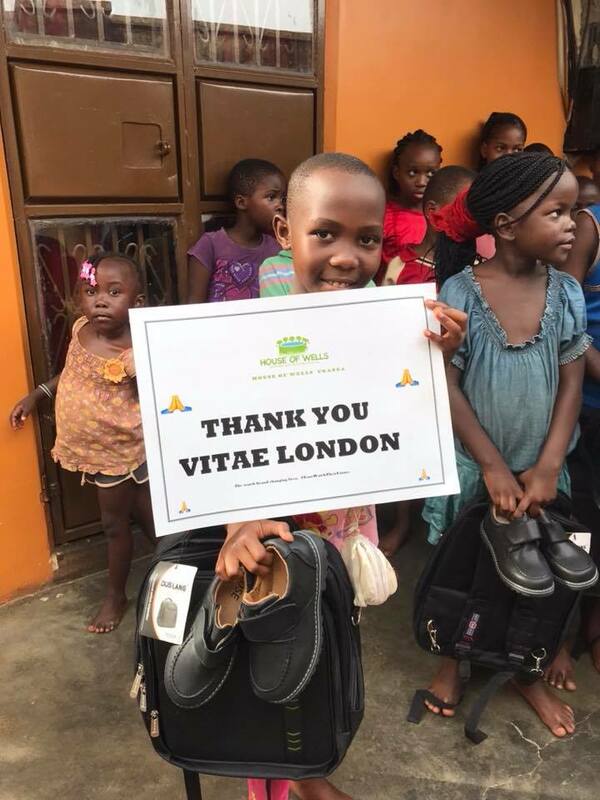 We want to use this opportunity to thank you all for your monthly, quarterly and occasional financial donations. Many of you have been giving regularly since 2008, so the last 10 years have been possible due to your generosity. 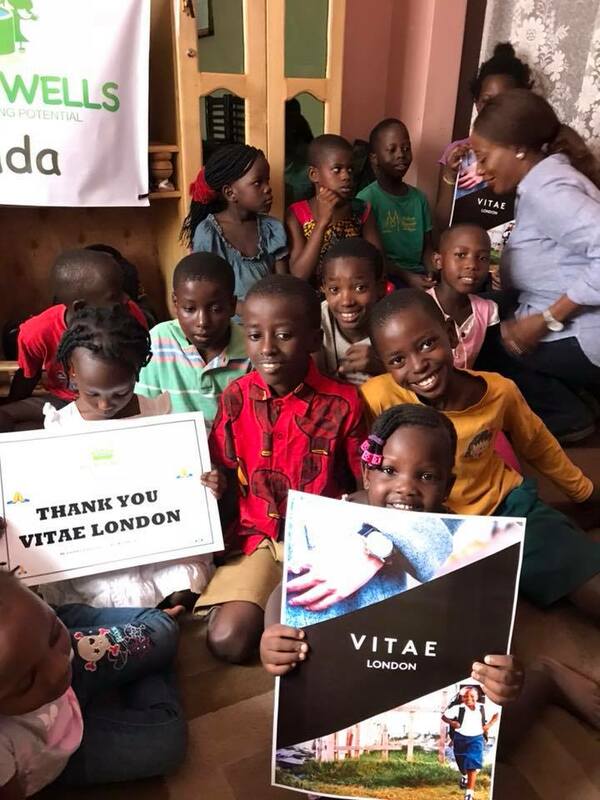 We pray that God will richly bless you and pleasantly surprise you in multiple ways.The lives of numerous children are being touched and transformed by God across Africa through House of Wells and you are a key part of that!! Thank you! May the Lord give you a bountiful harvest of the seed you are sowing and increase the fruits of your righteousness. 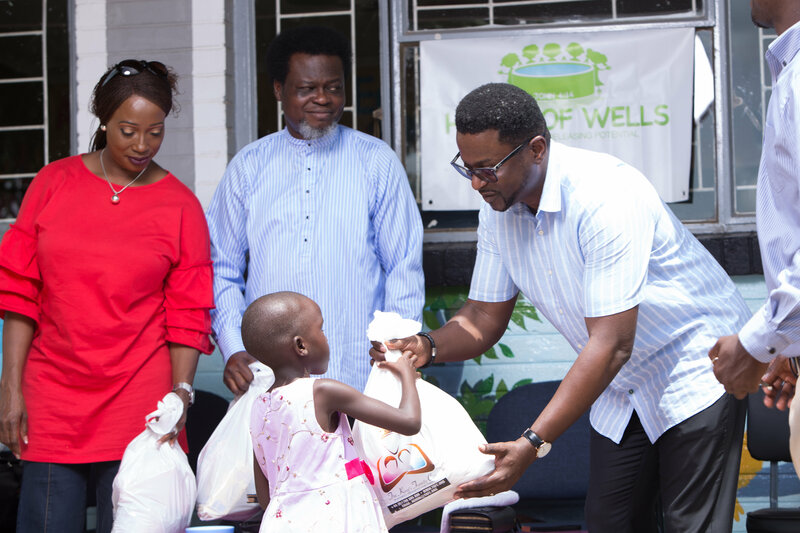 SHOUT OUT to all the Churches & Organisations PARTNERING with HOUSE OF WELLS!!! Our eternal gratitude goes to every individual, organisation, business or church that is supporting House of Wells and walking with us on this journey of Faith. 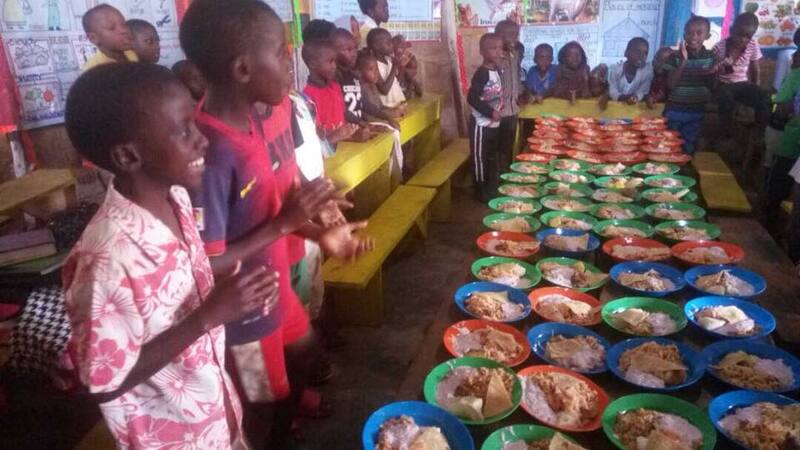 May heaven bless and record your sacrifices and seeds sown into these children’s lives, in Jesus’ powerful name. May the windows of Heaven stay open over you, and may our Abba Father continue to bless you all, make HIS face shine upon you and be gracious unto you. 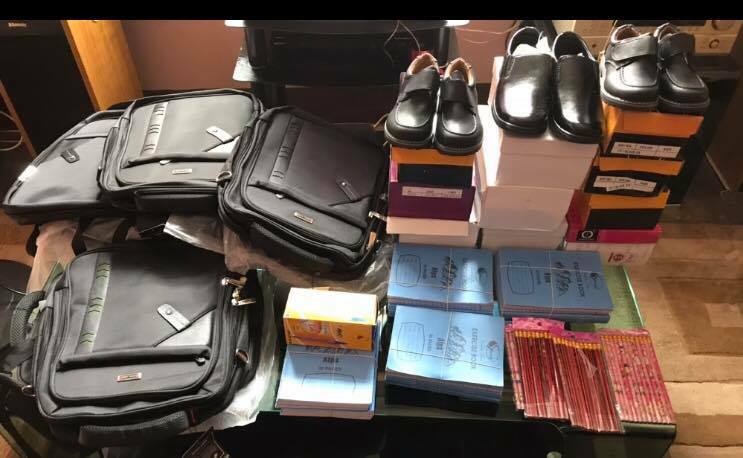 Churches partnering with HOUSE OF WELLS:– City Chapel London, The King’s Family Centre (TKFC) U.K, RCCG Living Water Parish (UK), Trinity Chapel (UK), The Liberty Church (UK), RCCG Bethel Parish (UK) and HARVEST Christian Church, Port Elizabeth – we are grateful for your assistance and support in various ways. 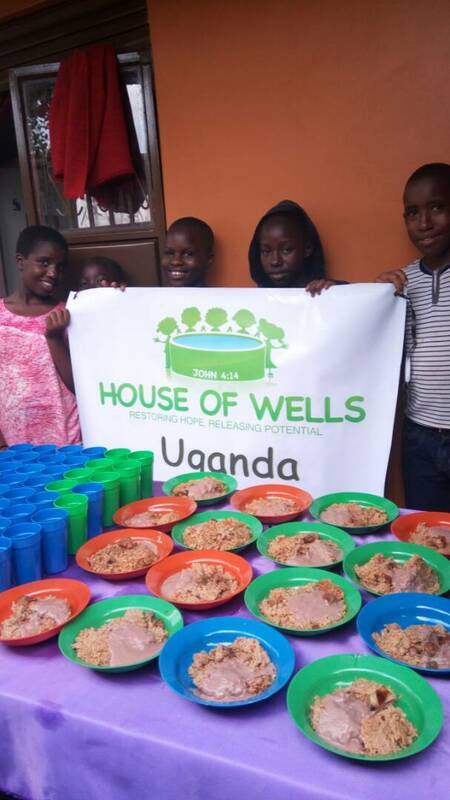 Organisations supporting HOUSE OF WELLS:- ShopFit Group (SA), Community Chest (SA), LPS Estates (UK), Systemxnet Limited (UK), Vision Excel Ltd (UK), Panacom Ltd (UK) and Ambience Consult Ltd (UK) – thank you so much for your consistent financial support for various House of Wells projects. 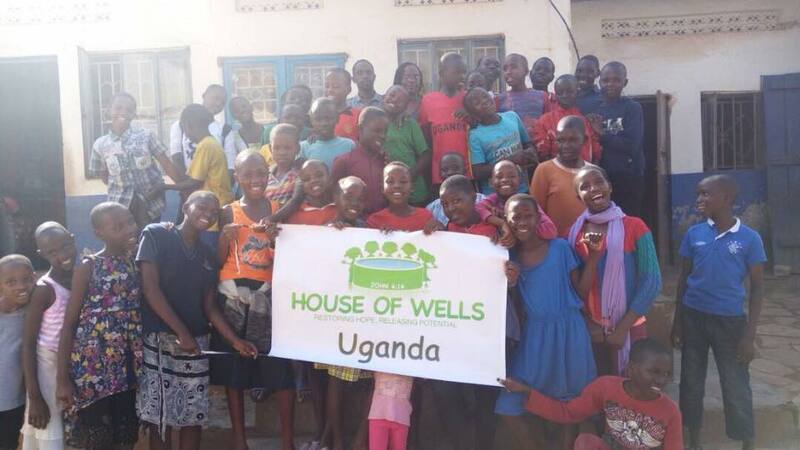 HOUSE OF WELLS UGANDA has started!! – We give God all the glory for the establishment of H.O.W Uganda in February 2018. 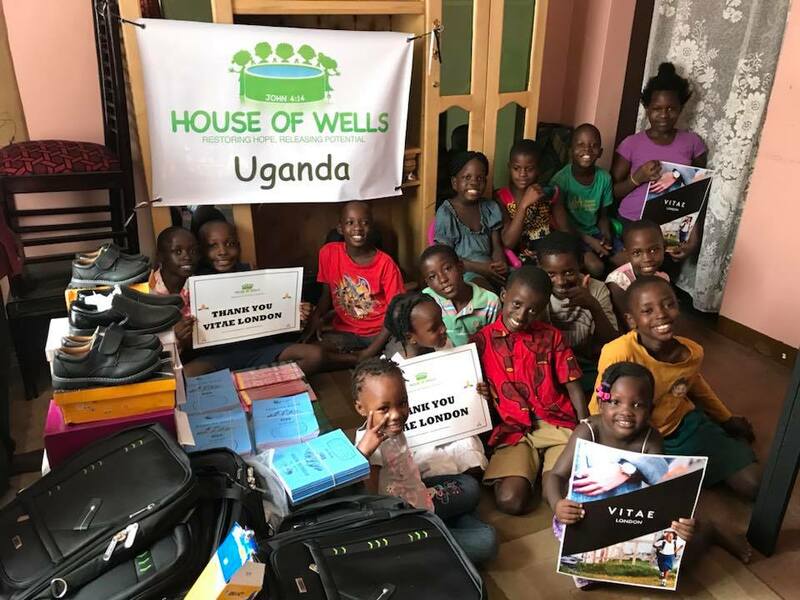 A big thank you to Harvest Christian Church, Port Elizabeth for partnering with House of Wells to start our Enrichment Centre in Lusaze, Kampala, Uganda on Sat 24 Feb. We pray that divine help and multiplied grace will be their continual experience in Jesus’ mighty name. 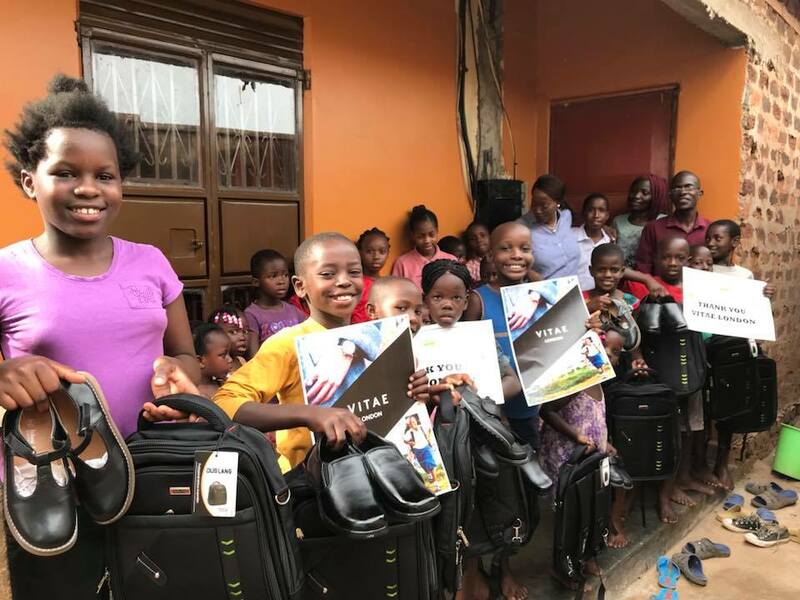 We are confident that these children will grow up to be God-fearing, honest leaders and men and women of integrity in Uganda, in Jesus’ powerful name! The testimonies from Uganda have been astounding particularly regarding growth. The numbers have gone from 28 in the first week, to over 100 in just 2 months. The couple, Benbaker & Lydia Senabulya, who head up House of Wells in Uganda have now been joined by another couple Robert & Hilda. 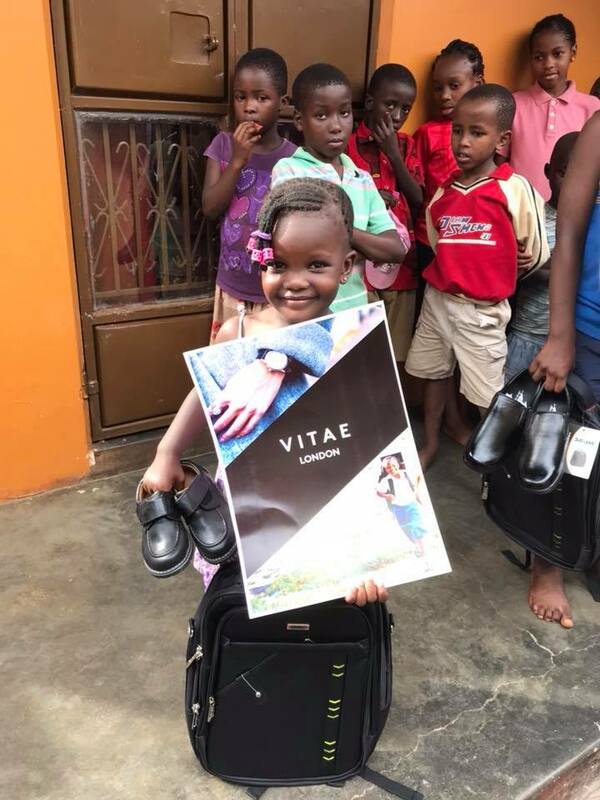 As a team they are doing a phenomenal work by exposing the children weekly to the transforming power of the Word and the Spirit of God. We are indeed thankful to them all. Schools & Community Relationships – We are very much involved in the activities going on in all the schools we use for our Enrichment Centres, which help to strengthen the relationship between the schools and House of Wells. The School teachers are always so welcoming and appreciative of the ministration of the Word and our prayers for their schools. 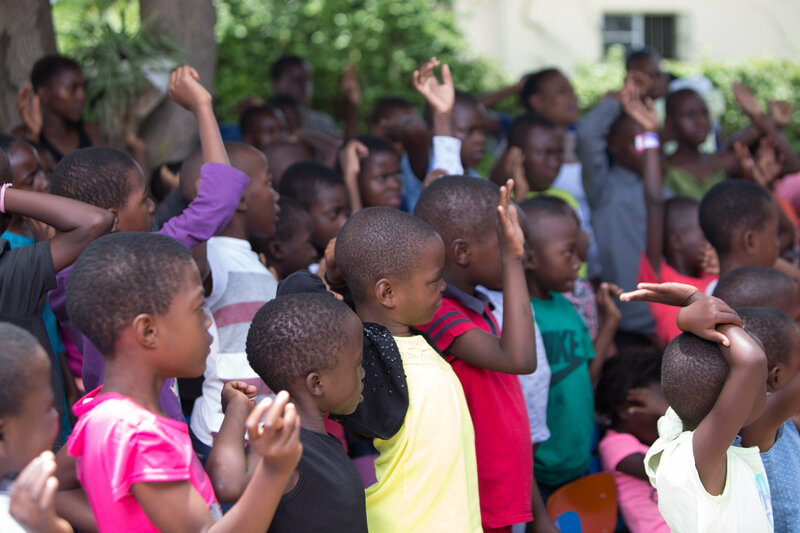 We thank God for pouring His fresh anointing every time we meet with the children, such that even the teachers that worked at the schools can also witness to God’s faithfulness. 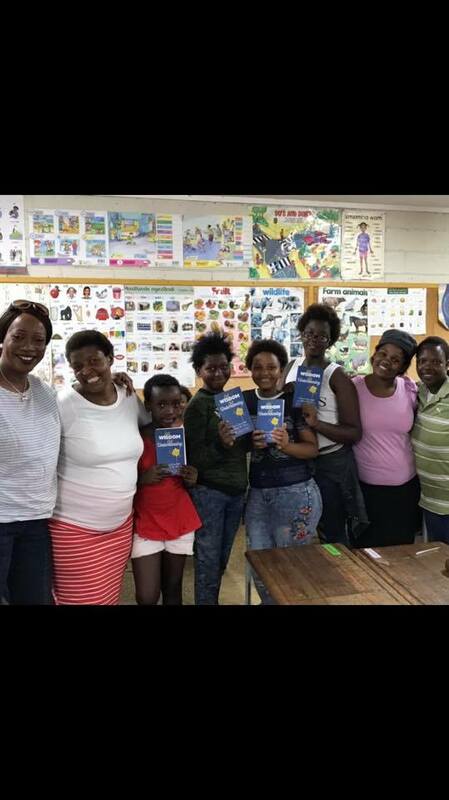 One of the teachers whose classroom we use at Walmer School gave a testimony: her daughter passed the Matric exams (GCSE) last year (2017) and got admission into Tertiary Institution in Cape Town. She said God went ahead of her daughter and gave her abundant favour there. She said she believes it’s because of how helpful and supportive she has been to House of Wells. We reminded her that the Lord is mindful of her and her family and she should continue to allow God into her classroom. 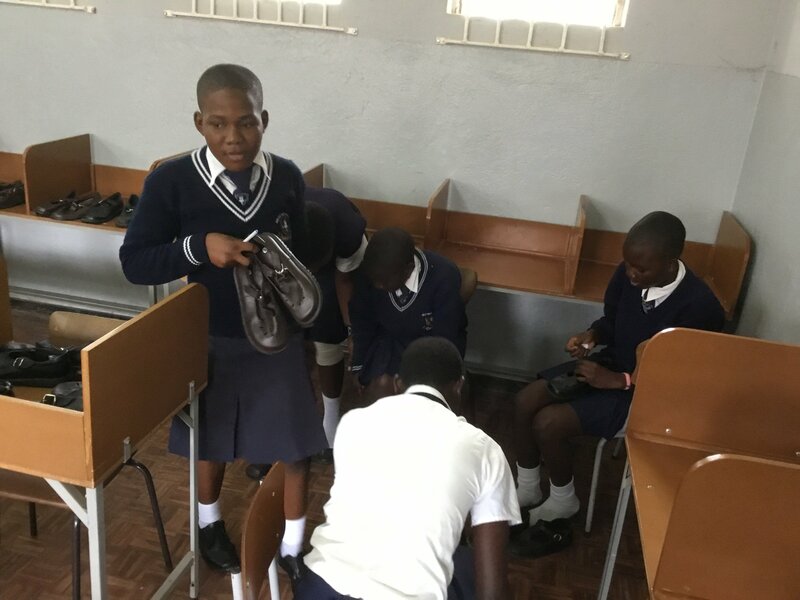 We also taught a lesson titled, “Jesus washes his disciples feet” – John chapter 13:1-17 – during which the children learnt the need to serve one another, just like The Lord Jesus Christ did not come to be served but to serve. In another H.O.W Centre, the Principal called our Co-ordinators into her office one afternoon just before we started the Centre activities for that day. She opened up to them about her difficulties and asked them to pray for her. There was such an awesome presence of God in her office as they prayed, so much so that she started thanking God so loudly, saying she believed God has answered the prayer! 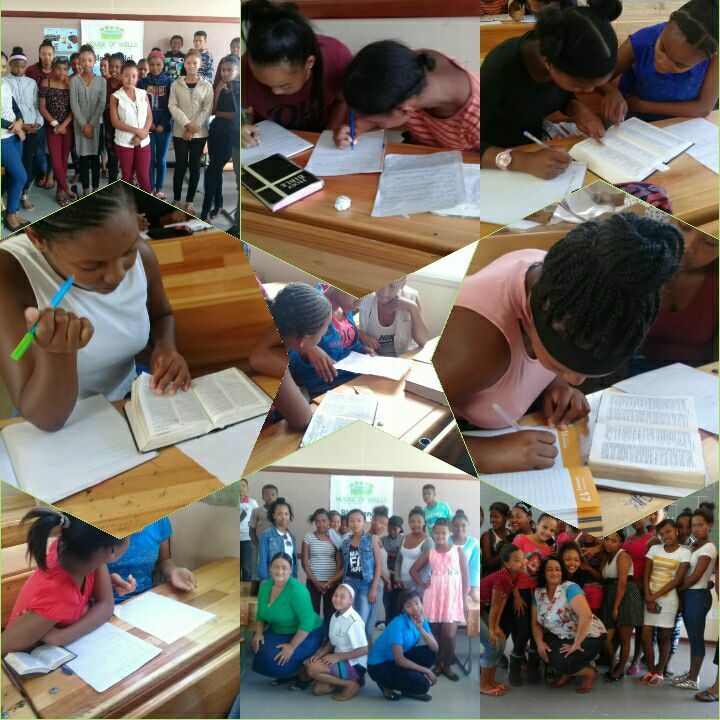 House of Wells Youth Enrichment Classes – We thank God for the newcomers that have joined our Teenagers’ classes in the last two months. 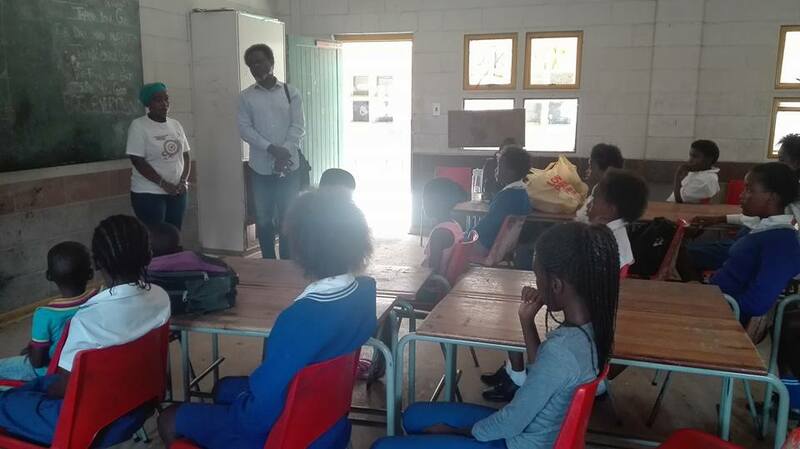 It’s always a pleasure and joy for us to welcome new teens, as it gives us the opportunity to explain what H.O.W is all about and at the same time the existing H.O.W teenagers are reminded of the work that H.O.W does in the community. The regulars have fun sharing their achievements in H.O.W and we find that this excites the newcomers and makes them expectant. Our lesson in February was based on a book titled “Get Wisdom, Get Understanding” by Bisi Gbadebo. We covered topics such as – honouring your parents, Warning Against Bad Friends, Choose your friends wisely, The Things God Hates etc. The teenagers had a brainstorming session and came up with examples of things that constitute dishonour – e.g. not respecting parents in private or in public, being rude to them and so on. In the group sessions in one of our Teens Centres, the teenagers gave examples of the many ways to honour their parents and respect those in authority. When you honour your parents, you are honouring GOD, they said. One teenager said: “To know the Lord and obey his commandments, that is wisdom”. Many amazing things came out of studying this book and having group discussions. 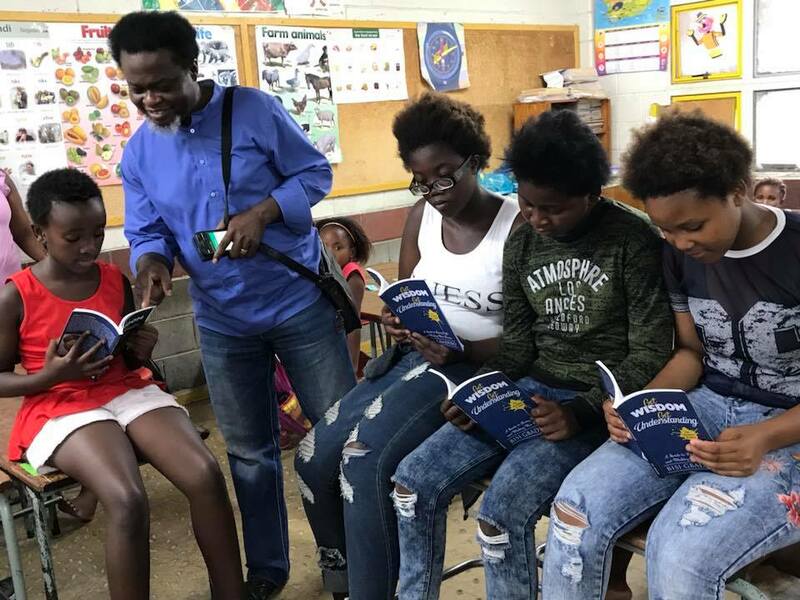 For example, following the topic on honouring parents at our Habelgaan Youth Centre, two boys who grew up with their grandparents and never knew their father expressed their desire to meet with their fathers. Another teen said that this topic reminds him of his father, whom he has never met but would love to meet in order to tell him he has forgiven him and that he will honour him. From the feedback they gave, we could see that the topics touched and ministered to the teenagers. 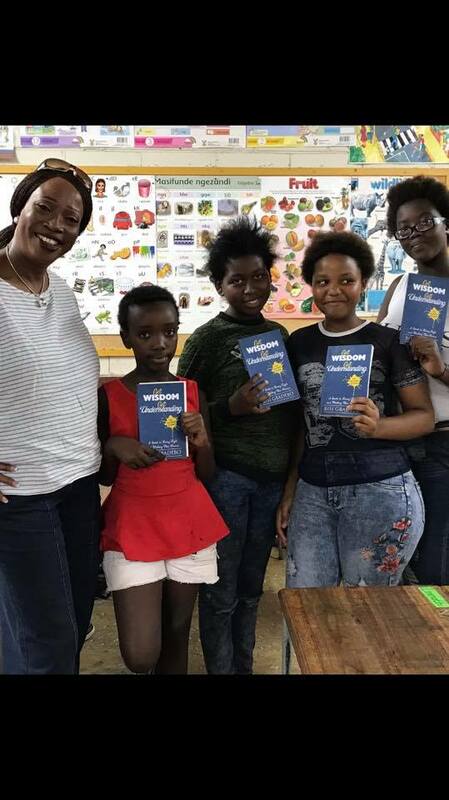 Some of them were challenged with personal issues that they were dealing with and received answers from the book and healing from God’s Word. It brought tears to their eyes. One teen shared how she couldn’t forgive her stepmother who had treated her badly until she learnt about what unforgiveness does to a person. Another teenager said House of Wells has taught her how to be grateful for what she has; she was also reminded of the times she made wrong decisions; the lesson taught her how to handle situations and make Godly choices. 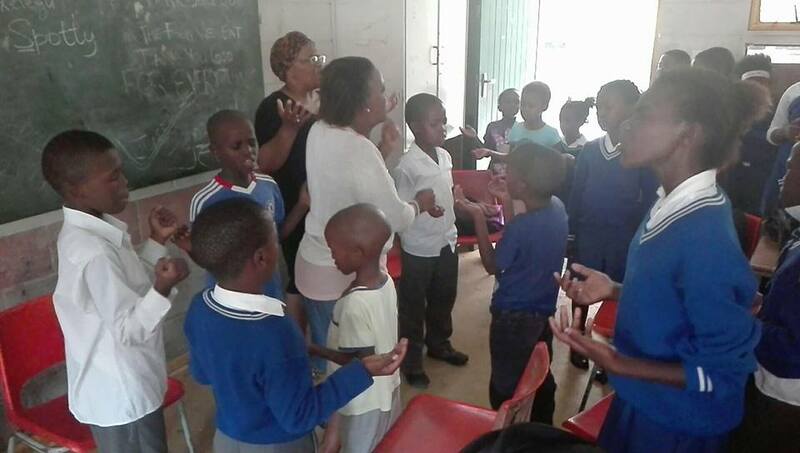 News from H.O.W Centres in PE – We had an increase of 149 kids across all Centres when we started in January, the children showed up in their numbers to praise, honour and bless God for the new year. 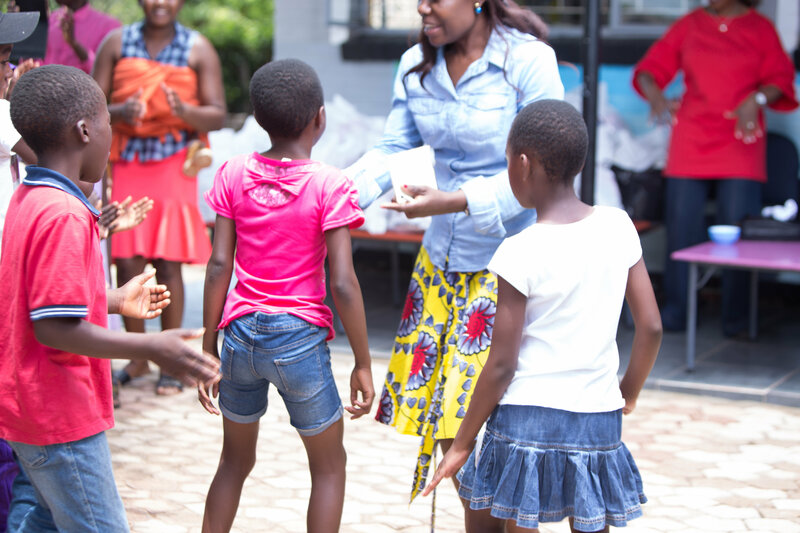 All children returned in good health back to the Centres. We thank and praise God for keeping them all safe during the long summer holiday. 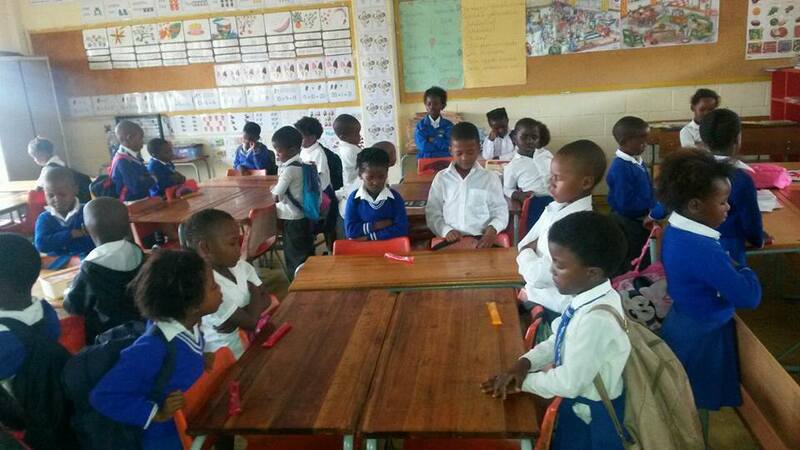 The Grade R to Grade 2 classes in our JK Zondi Centre are rapidly growing. The classes started 2 years ago in addition to the main House of Wells senior class in the Centre. 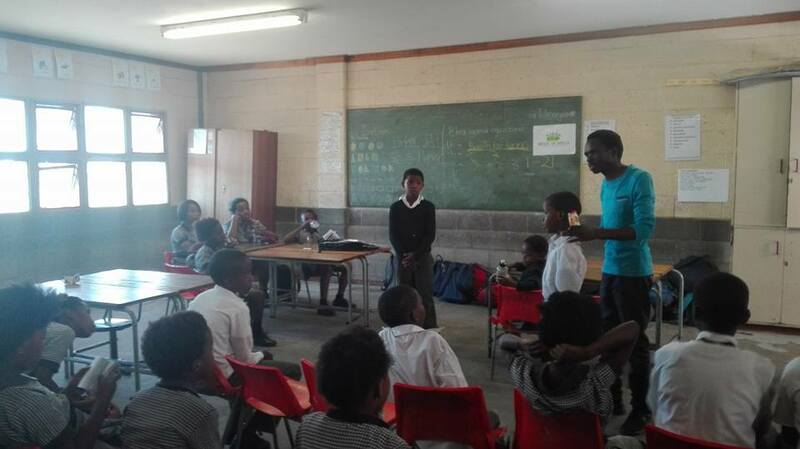 We started ministering to the younger children age 4-6 for 30 mins in their classrooms just before School closes. 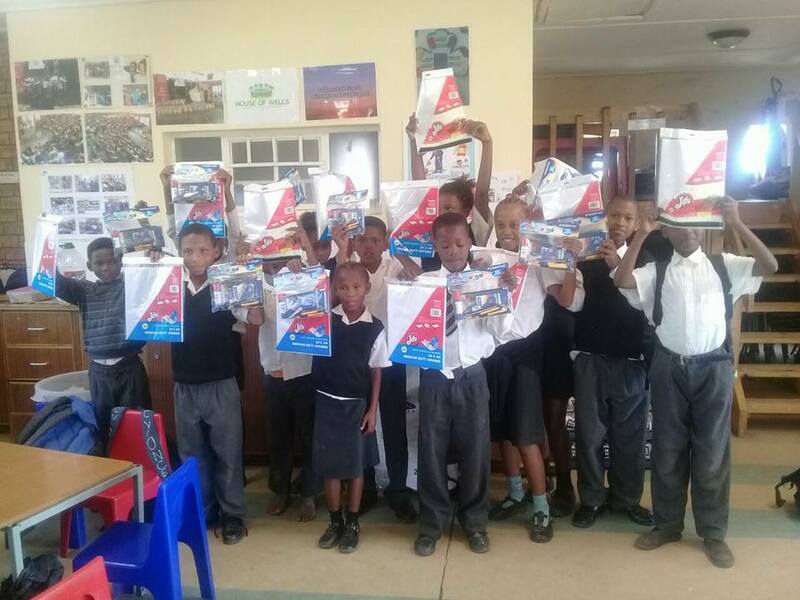 This means that by the time they get to Grade 3 and join the main H.O.W programme, they would have already been immersed in the word of God and accustomed to the various programmes at H.O.W. 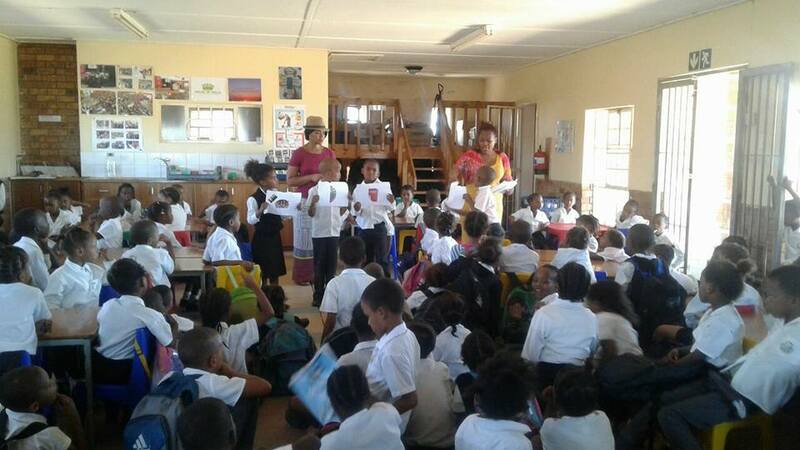 We now have 6 junior classes in JK Zondi – two Grade Rs, two Grade 1s and two grade 2s. 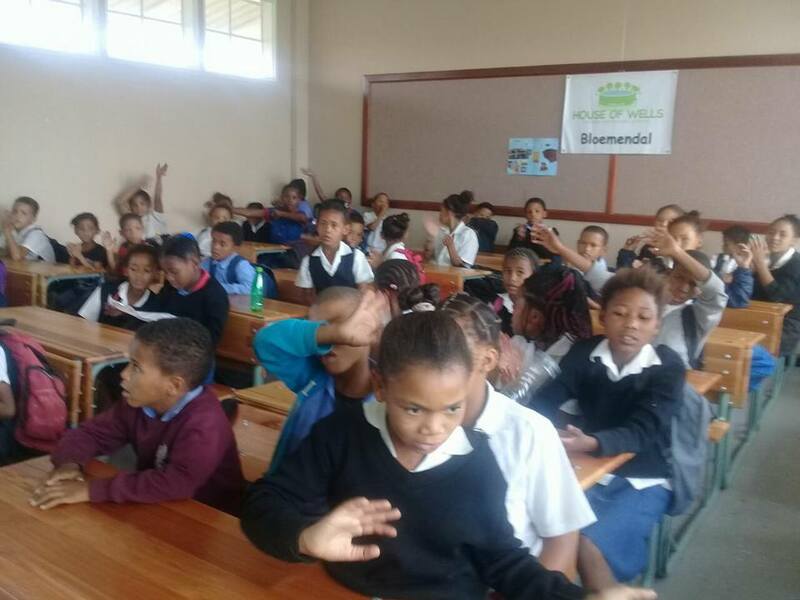 Teachers in the School have started to testify that peace is reigning not just in the School but also in the KwaZakhele community. We believe greater things are yet to come in Jesus’ name! 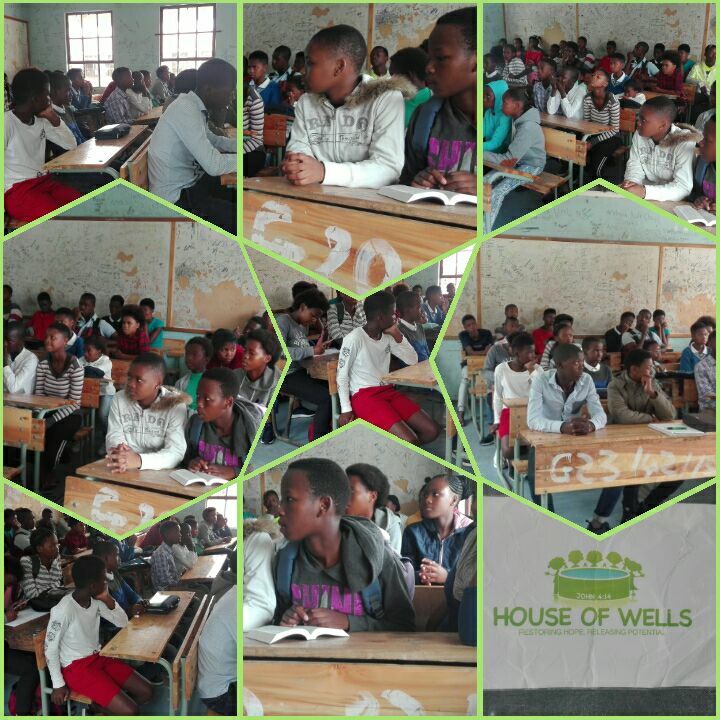 One of our Teens (who is now in High School) came to the Centre one day to thank House of Wells for empowering and equipping him for the things he now experiences in High School. He said although the challenges of High School are real he is grateful that the House of Wells lessons and programmes prepared him for them. The KwaZakhele community sees House of Wells as God’s solution in their neighbourhood, we regularly hear this from parents, grandmothers and teachers in the community. On the 28th Feb, we went to visit a home where a girl of 19 had gone missing. As the Grandma spoke, our Leaders were able to pick up that the girl had been abandoned and neglected by her parents, hence why she had left home. Our leaders were able to offer the necessary help to the Granny, suggested various ways to look for her, and they also prayed with her. The girl was found 2 days later at a friend’s house. 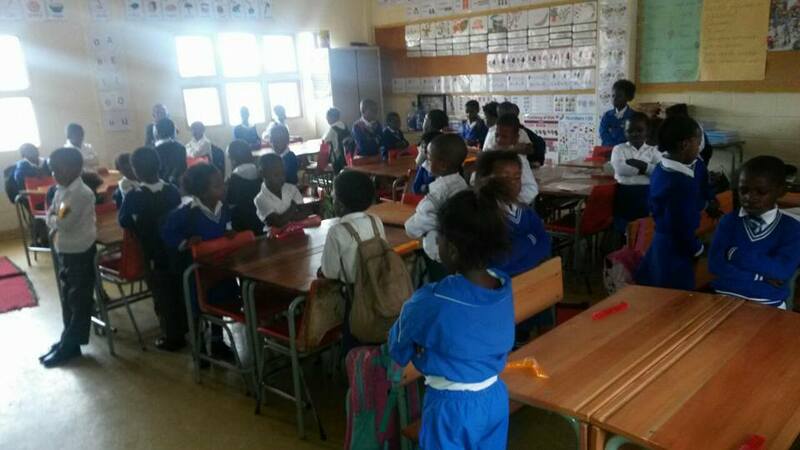 In March, JK Zondi School was auditioning grade 3-7 pupils in the School for School Choir for the yearly Zonal competitions. For 2 weeks they struggled to form a school choir. One afternoon we were having praise and worship at H.O.W and after a while, we noticed that some teachers had been standing outside listening to our praise and worship. They were astonished and asked the children to come into the school hall after assembly the following day for audition. 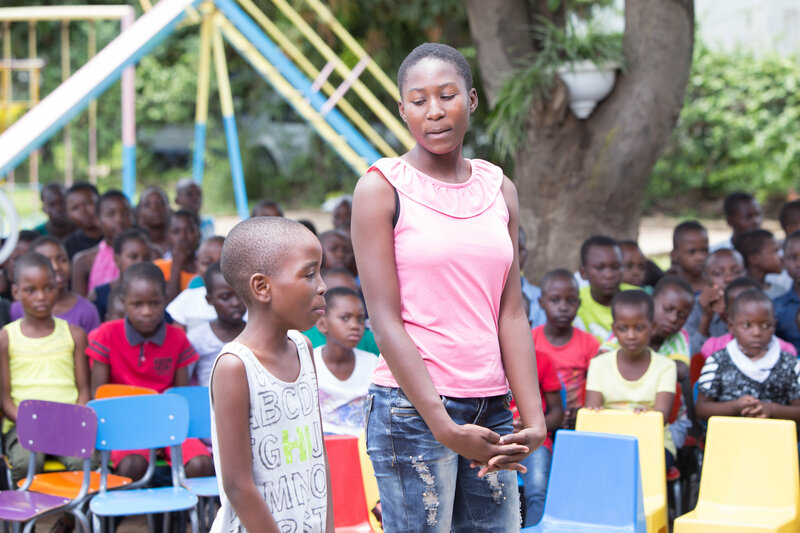 H.O.W children passed the audition and joined the school choir! 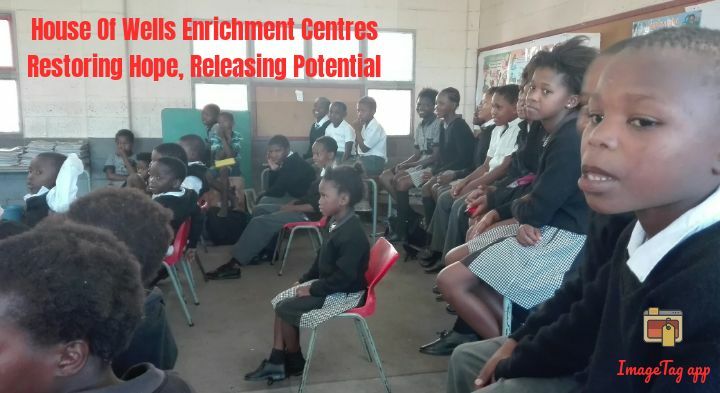 HOUSE OF WELLS Centres, ZIMBABWE – Witness and Filo Chaunoita who co-ordinate House of Wells Centres in Zimbabwe, also own pre-schools in 2 locations in Kwekwe. Their Pre-School buildings are used by House of Wells for our meetings with the children and teenagers on Friday nights and Saturday mornings. God has been faithful to His work in Zimbabwe. 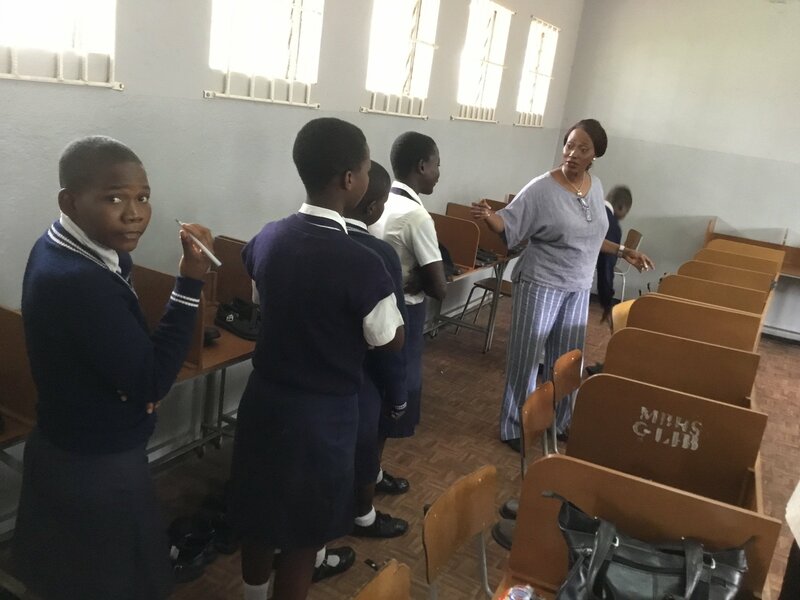 Our second Centre in Mbizo which opened in 2017 is also thriving, we give all the glory to God. 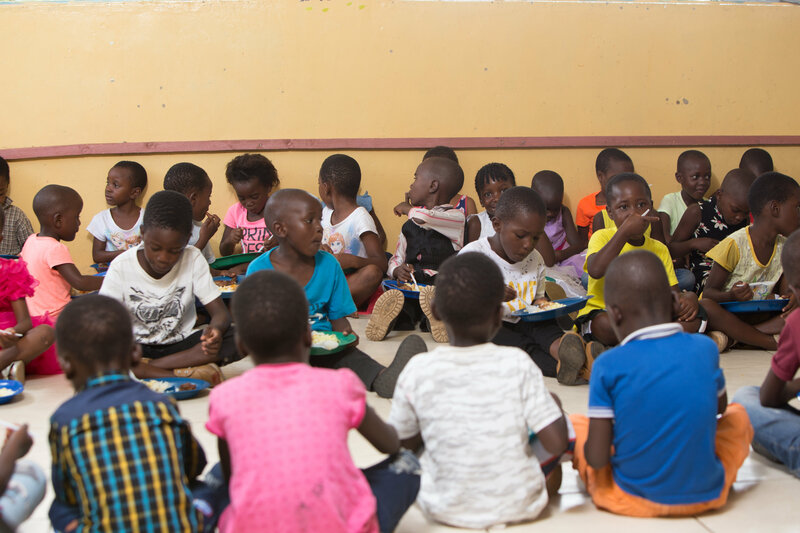 We have about 150 children and Youth attending our Centres regularly on Fridays and Saturdays, 27 of which are teenagers. 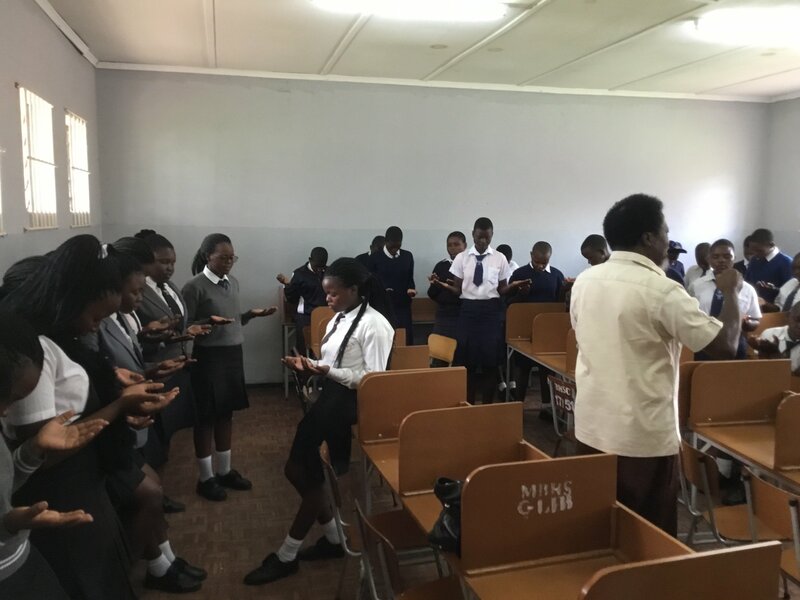 At Friday Night Youth there are Music & Drama lessons and Bible-based life enrichment classes, all of our activities focus on career guidance and a way of living that enables these young people to live right, honour God and reach a brighter future. 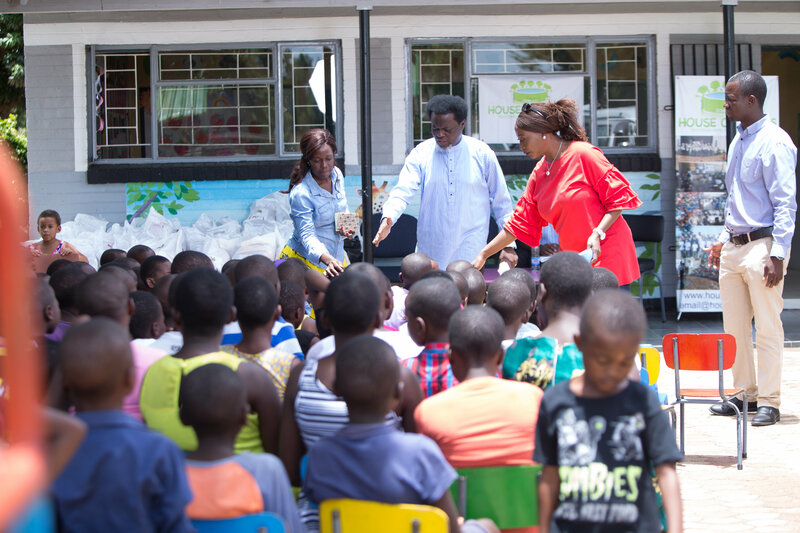 The activities with our younger kids include memory verse competitions, bible lessons, role plays of Bible stories and help with reading/writing, etc. The memory verse competition is quite popular with the kids, and they can recite a lot of verses with confidence. 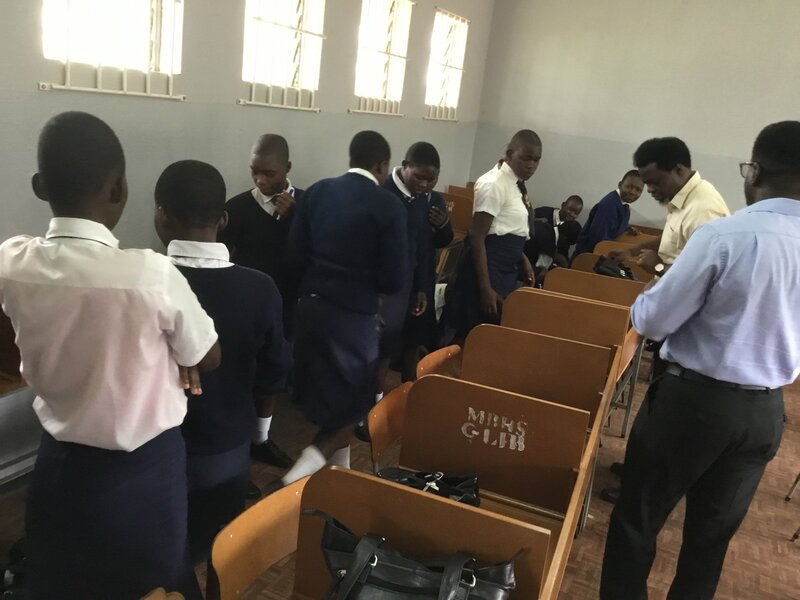 Recently, we taught a lesson on prayer and the importance of praying for our parents, teachers and communities, we later received testimonies from parents of how some of our kids have been leading prayers at home. It’s amazing what the Lord is doing in the lives of these young children. 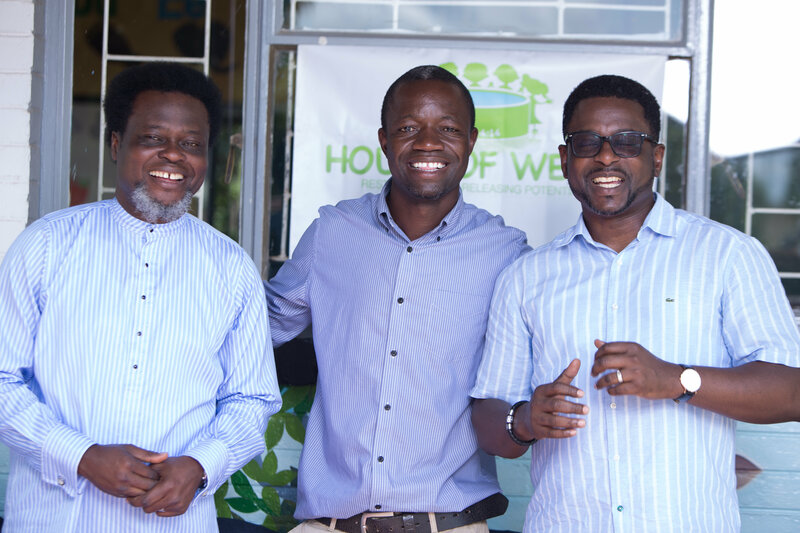 Pastor Ashaye’s visit to H.O.W Zimbabwe – Pastor Anthony Ashaye of The Kings Family Centre, one of our partner churches in the UK, went with Pastors Richard & Kemi Oyin-Adeniji to visit House of Wells Centres in Zimbabwe. 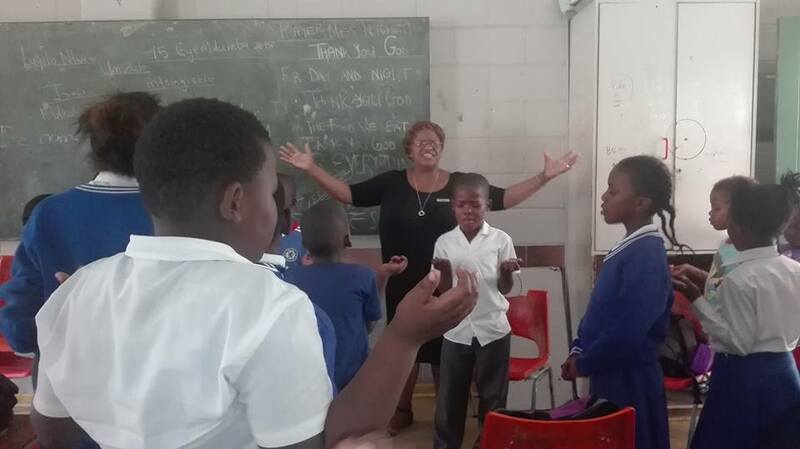 We had a joint House of Wells fun day event with 150 children in attendance, singing, dancing and reciting scriptures. The 3 Pastors shared the word of God with the children briefly and prayed for them. 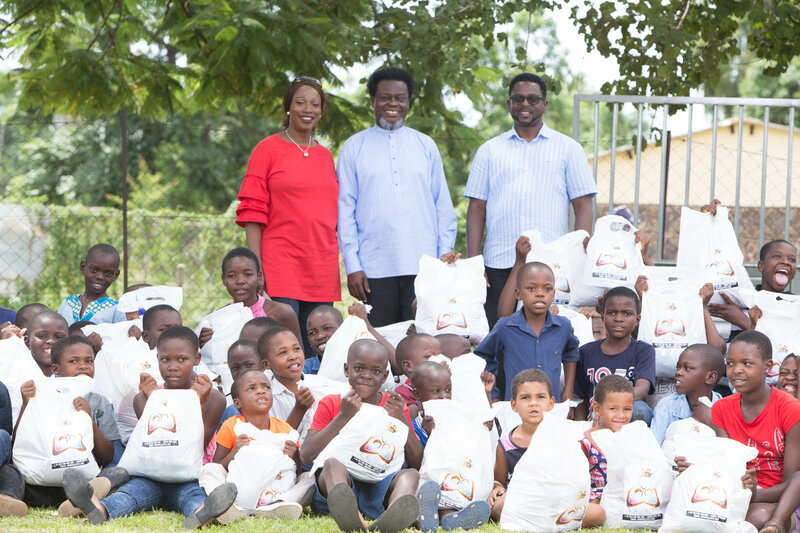 The children were served a sumptuous meal and each of them received food hampers for them and their families. 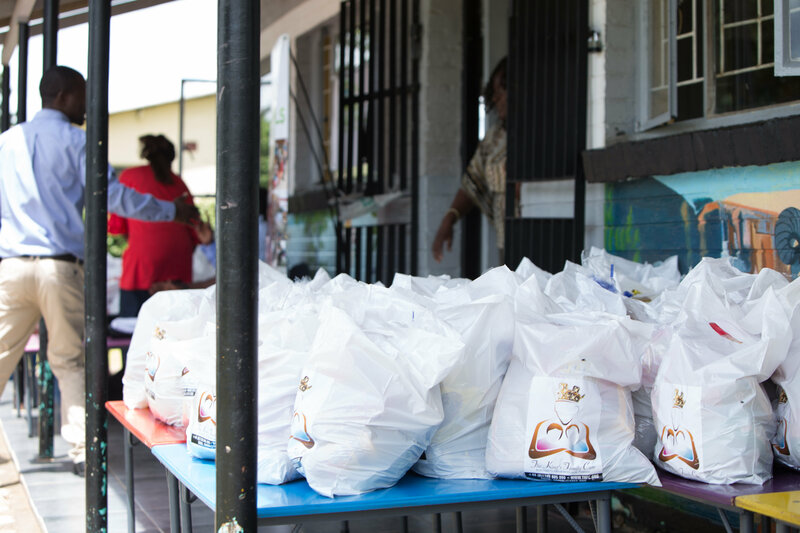 The meal and hampers were sponsored by The Kings Family Centre, UK. We thank the leadership of TKFC, the TKFCare Board of Trustees and the entire members of TKFC, for their awesome generosity. May the Lord always remember their kindness and bountifully reward everyone that made it possible. 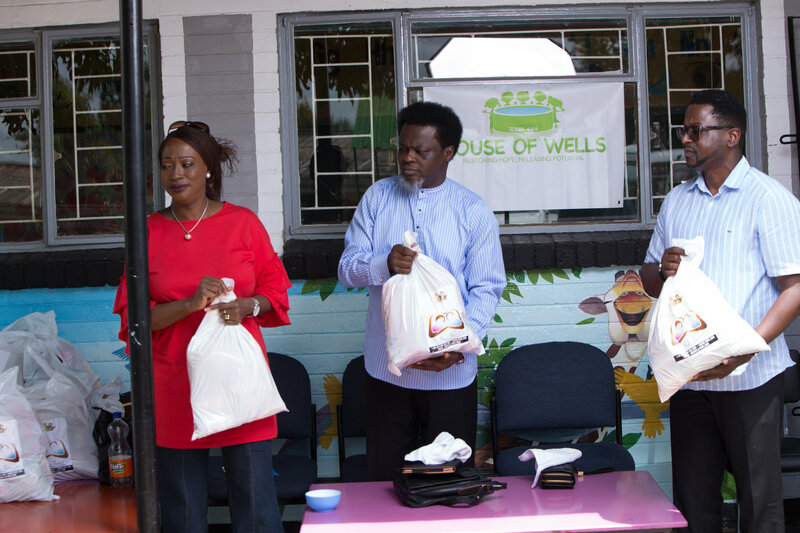 We are grateful for Pastor Ashaye’s visit to House of Wells Zimbabwe, and we pray that The Lord will mightily bless and enrich TKFCare. One of the amazing things that happened during the Saturday event involved an 11-year old girl called Loveness. She began reciting from Malachi chapter 1, and as she recited it, there was a clear anointing upon her. It was as though, she was under a prophetic unction and it was very special to witness for everyone present. 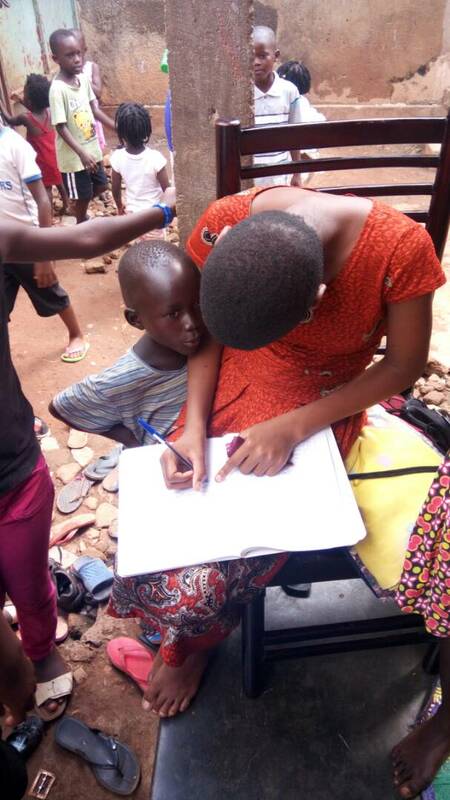 Apparently, while she was reciting the scriptures, her mum who works at Witness and Filo’s Pre-school whispered to Filo that her daughter is so smart and she would really love for her to have the opportunity to attend a university but does not know how it will happen as she and her husband are not financially capable to send her. After the meeting Pastor Kemi called Loveness to give her a hug and encourage her. She then asked Loveness what she would want to do when she grows up, and Loveness said she wants to be a pilot. At this point, Pastor Anthony told Loveness that he would see to it that the university education and flying school cost is taken care of. This promise was made in the presence of Loveness’ mum who said her daughter had always said she wants to be a pilot. We were so amazed that God promptly heard the heart’s cry of a mother for her child. H.O.W. 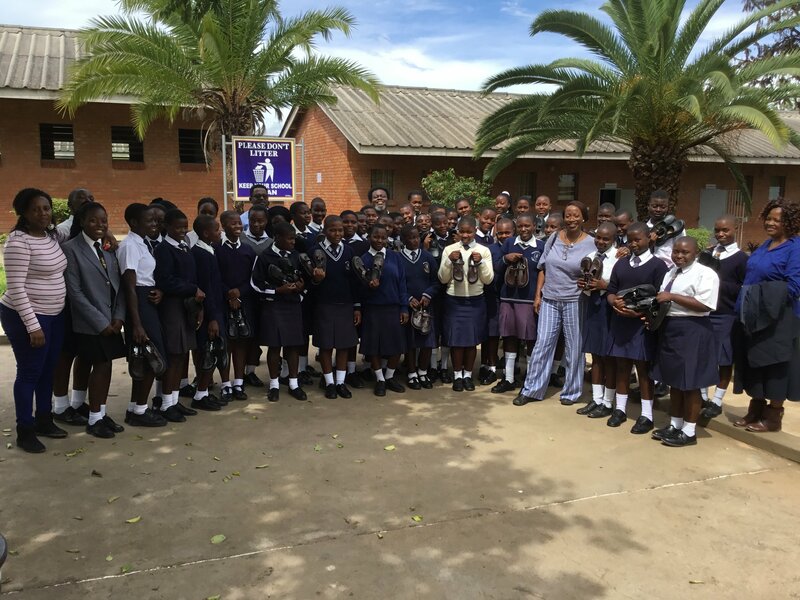 blessed students with SCHOOL SHOES – The day after the joint programme, House of Wells visited Mbizo High School in Kwekwe, and gave out brand new School shoes to 50 girls. We encouraged the students to walk with God and we prayed for them. We also prayed for the school leadership who were very grateful and amazed that House of Wells do what we do in return for nothing. That gesture effectively opened the door for House of Wells and we were invited to start a Teenagers Enrichment Centre in Mbizo High School. House of Wells Tuition Centre which started in April 2017 has been really beneficial to our teenagers in grades 10 to 12. Subjects being taught are Maths, Accounting and Sciences. 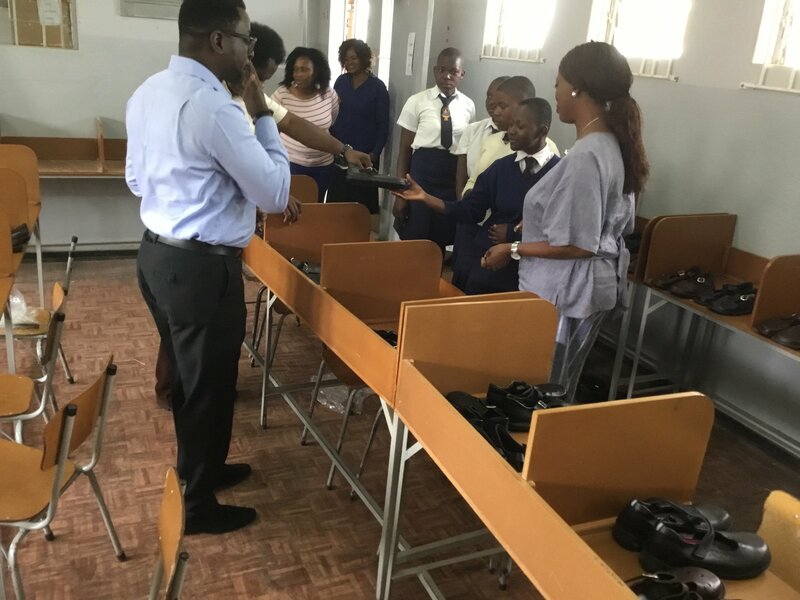 Our teenagers have been gaining from one-to-one academic attention and personalised lesson plans that specifically address their weaker subject areas. 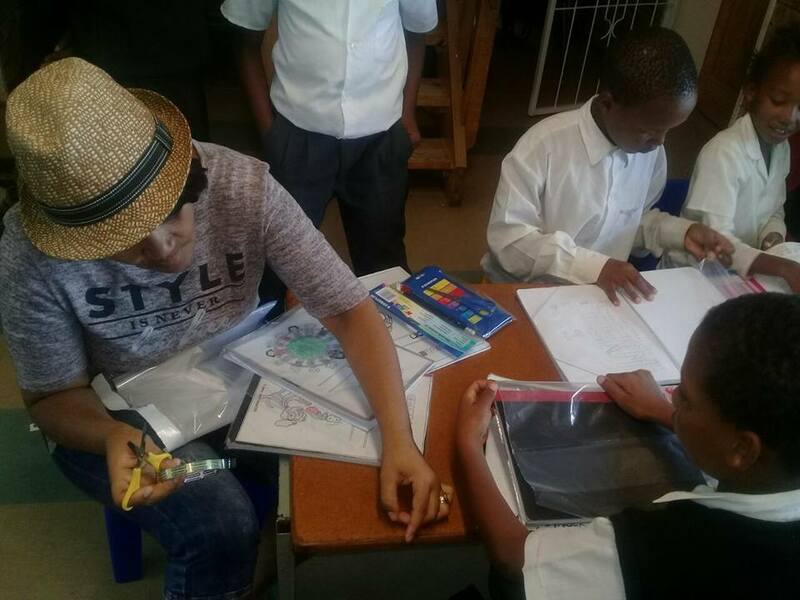 For students struggling with a particular subject it is often difficult for teachers in the township schools to give them the attention and support they need. The private tutors we have hired are able to identify specific areas that the students have trouble with and often by just using an alternative approach, or explaining something in a different way our teenagers are able to readily grasp difficult concepts. The tutors have been assisting our teenagers with exam techniques and have been working with them to fine-tune their skills and knowledge to ensure that they achieve and exceed their target grades. All of our private tutors are experts in their field, have their own materials, make our teenagers feel at ease and know how to get the best out of them. They are all experienced, having taught in schools for many years, and hold a degree in their respective area of teaching.